Warning line has received a bad reputation over time. Should it have? Maybe. Warning line is the equivalent of someone saying, "Hey, don’t go over there!" When I think of fall protection, my mind immediately goes to heavy duty guardrails and lifeline systems. The image of warning lines is a half-constructed building with yellow flags surrounding all the perimeters. 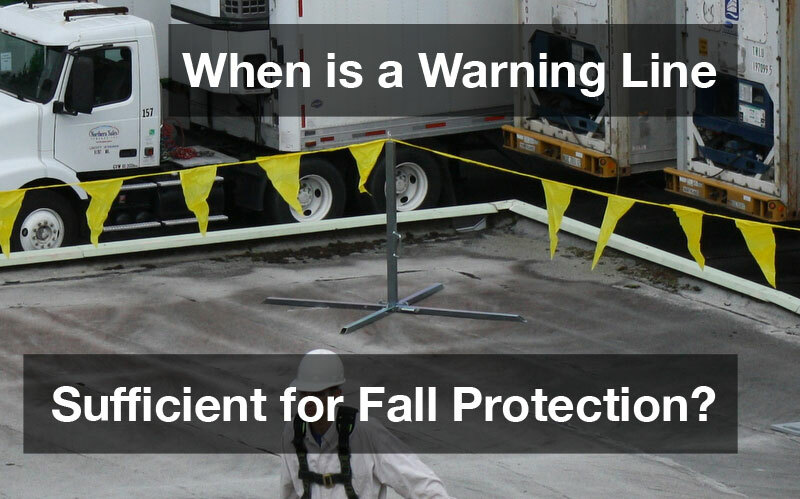 This is important (when done correctly) to the construction industry, however, how do you implement warning line into your fall protection plan at your facility or on your building? 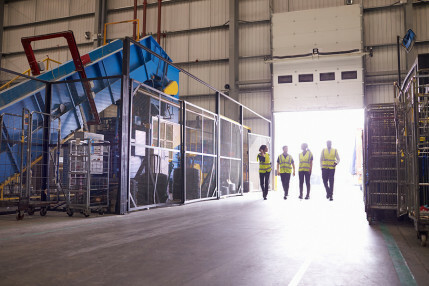 To answer this, we must first solidify the OSHA Walking-Working Surfaces Rule put in place last year and define our key terms: Temporary, Infrequent, and Designated Area. Best way to do this would be to download our ebook that succinctly explains these terms. If you’d like to read up on the exact verbiage of the code, take a look at 1910 Subpart D - Walking-Working Surfaces. In short, if someone is going on your roof, you need a fall protection plan. Regardless if it is temporary or infrequent when someone is forced to walk or work within 15’ of a fall hazard, some form of fall protection must be in place. In most cases, this occurs the moment you access the roof, assuming you accessed the roof through a hatch or ladder. Furthermore, you will be required to walk from the access to the place of work. This poses a strong possibility of being near another hazard, whether it’s the edge of the roof, skylight, open hatch, etc. Here is where creating a Designated Area using a combination of guardrail and warning line may be used as fall protection. Designated Area, according to OSHA, is an area delineated by a warning line to enforce a safe working zone. Because warning line will never "catch" someone from falling off a roof, guardrail will need to be used in specific areas. Warning line is best used to keep people away from unnecessary areas on the roof as well as maintain a safe distance from any hazard. 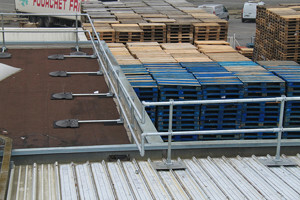 By connecting the line from rail to the rail, you essentially can make your entire roof a safe working zone. Where exactly do you need the guardrail? The answer is two-fold. When the work is both temporary and infrequent, the railing is only required when you are within 6’ of the fall hazard. If the work being done is not temporary or infrequent, OSHA says you need it when you are within 15’ from the edge. The rest is relatively easy. Connect the warning line to the guardrail that is set up in its required locations and run it in between each rail. While lining it up, you will maintain the required distance (either 6’ or 15’ depending on the temporary or infrequent aspects of the work) as you go around your roof. This will create a full perimeter of protection, easily designating your safe working areas, all the while actively protecting the high-risk areas. Though fall protection is essential to workplace safety, we know that there typically isn’t an unlimited budget to dedicate towards it. The safest option, and what most people think is required, is to surround the entire roof perimeter with railing. 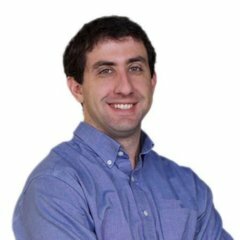 While this does eliminate any concerns or worries about safety and compliance, it will be price heavy on the front end. Another thought is to have a horizontal lifeline system covering the roof. 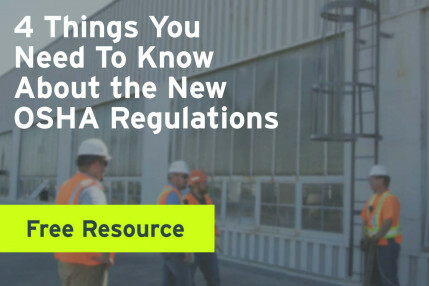 However, once you have paid for the structural engineer to assess and supervise the install, annual inspections, replacing parts, and implementing the required training and PPE, the long-term costs are significant. The great thing about a warning line connecting the railings for a designated area is it reduces the amount of material, thus lowering total cost. It will meet OSHA compliance, protect the entirety of the roof, and keep workers safe while at heights. Administrative controls must be in place, and anyone that is going up there will need to be adequately trained. However, you can rest assured that once up there, access to hazards has been blocked off entirely. Warning line can be used as a component in your comprehensive fall protection plan. When used correctly and within OSHA’s requirements, it can not only protect a majority of your roof but save you on potential costs. If you would like suggestions on products to use or assistance on how to lay it out, we have a team of Fall Protection Experts here to help. From start to finish, we can review your rooftop, the work being done, and offer up a total package to fit your specific needs.